I was born in Leeuwarden, the Netherlands, in 1950. From 1972-1977 I studied at the Art Academy Minerva in Groningen. After my training I made ceramic sculptures and enjoyed painting watercolours. An exhibition in Pictura followed. In 1981 I moved to Zwolle with my family. There I began with a monthly open studio day, affiliated myself with the local organization for artists, and extended my work with jewellery and sculpture. I took part in exhibitions and received commissions. 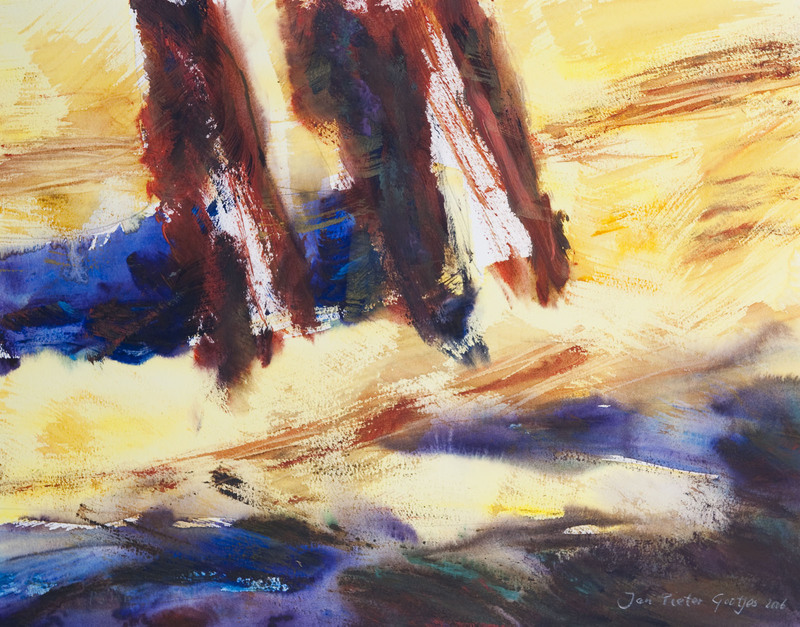 Each year I paint a series of watercolours on themes like Psalm 8 (when I consider your heavens, the work of your fingers, what is mankind), Psalm 121 (your shade at your right hand), The Three Graces, Psalm 25 (teach me your paths) and Jacob’s Ladder. 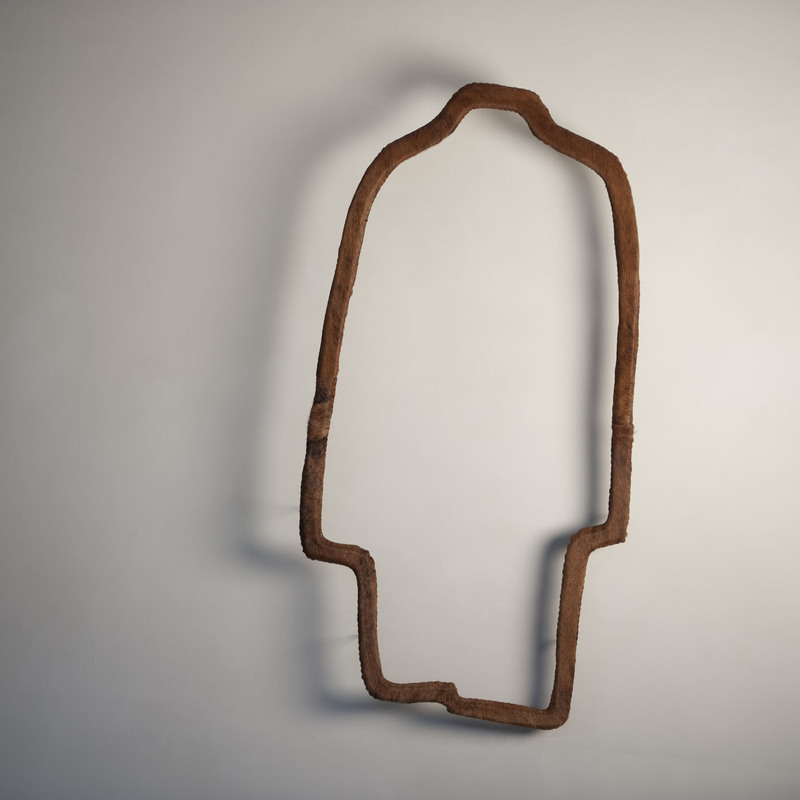 The theme of Jacob’s Ladder still occupies me; it has become a project in which the theme is elaborated in many variations: from jewellery to big spatial sculptures in steel and wood. I have an inner urge to paint and create sculptures. It is a kind of compulsion, though I also experience it as a gift to be able to give form to the images of my soul. The themes that occupy me and that I want to translate into form are the ones that have touched me emotionally. I also gain inspiration from meetings: with nature, with people, and events and images in the Bible. 1. 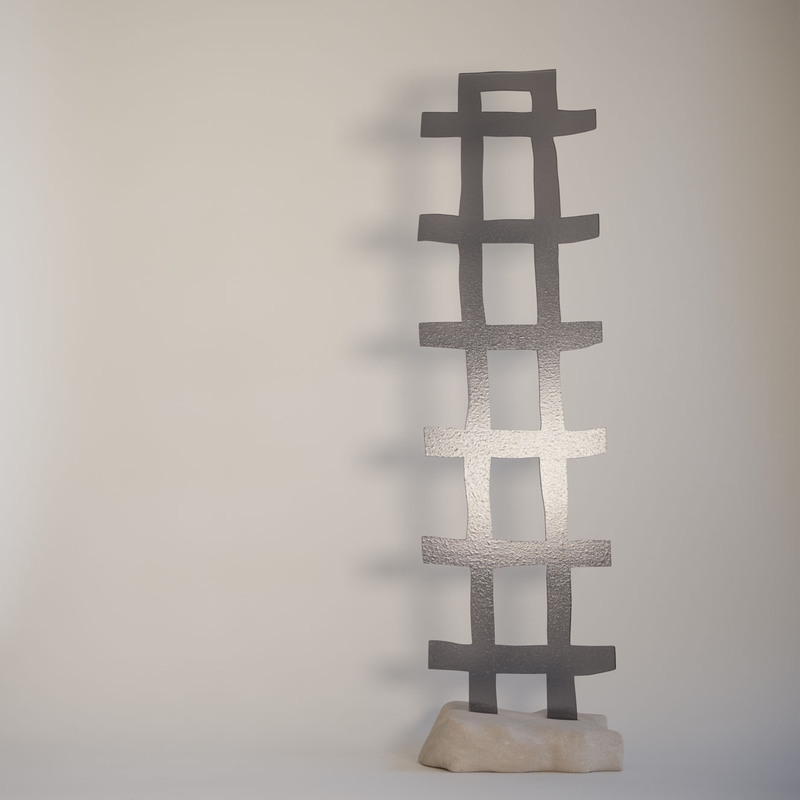 Jacob’s Ladder, acrylate, French limestone, 30 x 28 x 116 cm, 2009. Jacob lays his head upon a stone in order to rest and in this surrender God grants him the image of the connecting ladder. Genesis 28. 2. Ontschort 2, animal skin, 60 x 113 x 2 cm, 2009. God provides man with clothing instead of the fig leaf. Genesis 2. 4. 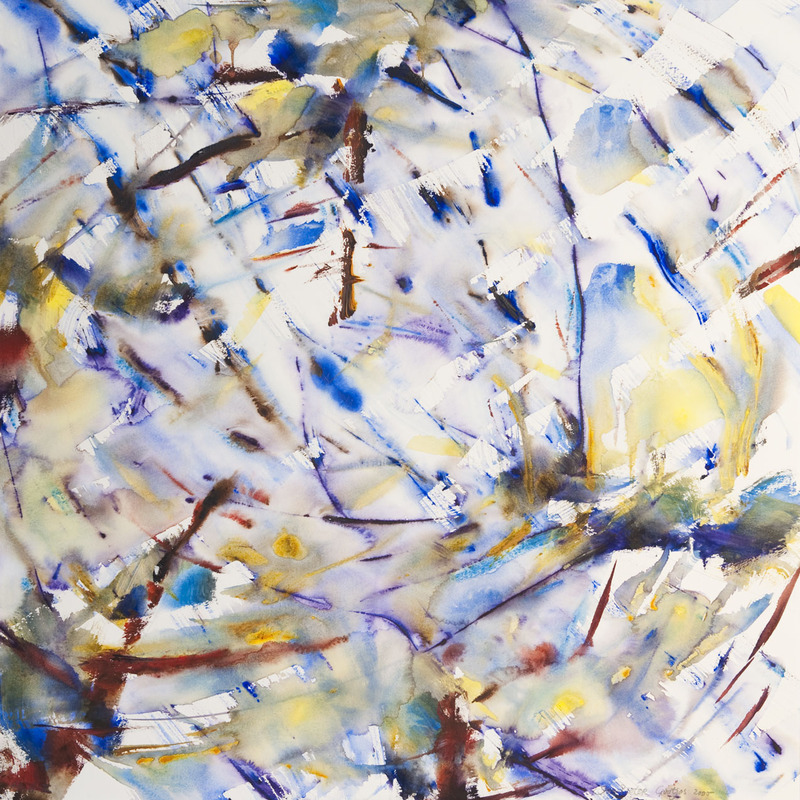 Psalm 121, watercolour, 80 x 60 cm, 2006. Just like the shadow besides the trees. 5. 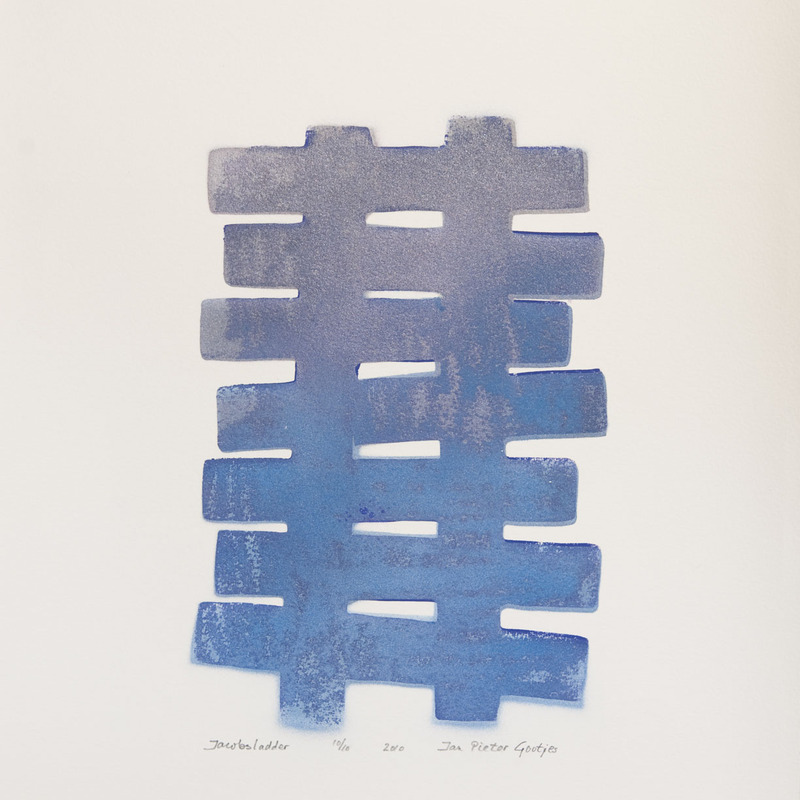 Jacob’s Ladder, wood print, 39 x 39 cm, 2010. - Beeldende kunstenaars en hun atelier in Zwolle, Waanders – Zwolle. 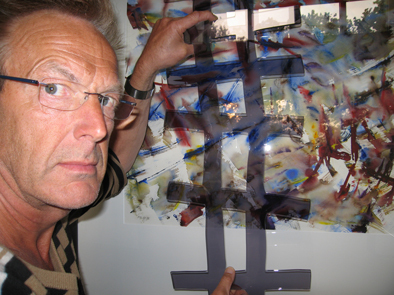 - Koos Geerds (poet) en Jan Pieter Gootjes (visual artist): Ontschort, beeldspraak communicatievormgeving, Zwolle, 2010. Each last Saturday of the month our studio is open to exhibit my work and that of my wife. An example of a commission is the war monument in Bedum; another work is a mural in the church De Voorhof in Apeldoorn. From 1980 I have exhibited in various places: sculptures, watercolours or jewellery. Besides monumental commissions there have been acquisitions by towns and the state, corporate companies and private persons. Every last Saturday of the month 2 – 5 p.m. and by appointment.